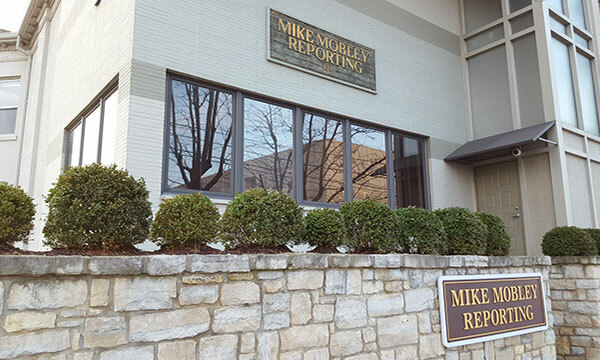 Mike Mobley Reporting, the largest court reporting firm based in Southwest Ohio, celebrates 40 years in business. Mike Mobley Reporting announced they are celebrating 40 years in business providing court reporting and other legal support services throughout Southwest Ohio and surrounding regions. Mike Mobley Reporting was founded in 1979 by Mike and Peg Mobley. Mike attended Clark State Community College and started working in the court reporting field in 1973. His first job was in freelance court reporting in Akron, Ohio. Mike accepted a position in Greenville, Ohio at the Darke County Common Pleas Court working for Judge Howard Eley and Judge Lee Bixler from 1975-1978. Mike and Peg returned to Dayton, Ohio in 1978 to be closer to family. They moved the offices of Mike Mobley Reporting to the current location at 334 South Main Street in downtown Dayton in 1983. The company has maintained its headquarters at that location in Dayton, Ohio, ever since but expanded under their management to additional locations throughout Cincinnati and Columbus, Ohio, and recently to Fort Wayne, Indiana. Starting with one location, Mike Mobley Reporting now has 11 locations to assist them in serving their clients’ needs.